Mining Projects Group (ASX:MPJ) has hit nickel mineralisation of up to 7% at a previously untested sequence with two holes 600m apart. 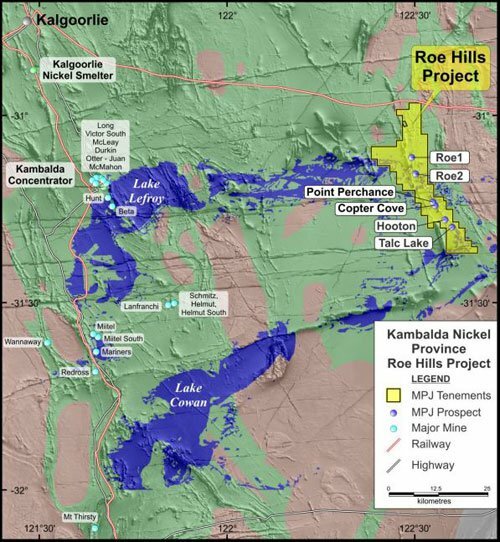 The ASX-listed small cap nickel hunter said that it had hit nickel with the two holes testing the Talc Lake prospect at its Roe Hills project near Kambalda in WA. One of the holes hit mineralised intervals with a 0.2% to 1% nickel grade in one hole, but 0.2% to 7% in the other. Both readings were taken on the spot, with samples needed to be sent away for assay before a firm conclusion can be reached. 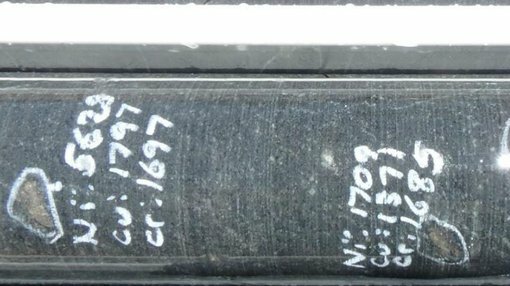 The two diamond drill holes were drilled 600m apart and were testing a previously untapped ultramafic sequence, often a sign of mineralisation. They were drilled 800m to the east of a historic hole which returned 1m @ 3.53% Ni, including 0.5m @ 6.15% Ni. MPJ said it would conduct down hole electromagnetic surveys on the holes over the next few weeks, which will give it more geological data to work from. Meanwhile, it will start drilling another hole being drilled to tap a previously identified DHEM conductor, also near the Lake Talc prospect. The conductor was identified using a DHEM survey on a previously drilled hole, which was completed down to 395.2m with spot readings finding mineralisation of up to 3%. However, with a new conductor zone found, MPJ said it would now drill the new target within the next week. Today’s result sparked a relative buying frenzy for the micro-cap stock, with it adding 20% to 0.6c in intraday trading with 17.5 million shares trading hands. Over the past 30 days, the average volume traded has been 8.08 million. It is testing a possible 40km mineralisation extension at Roe Hills, with 5000m of drilling previously planned before the end of the year. The targets picked out by MPJ’s technical team and ex-CSIRO head of magmatic ore deposits Dr Robin Hill. The assays from the first hole of the exploration campaign have not been returned as yet.